Debby Orlando is a full-time Pilates instructor and a graduate of The Pilates Center, an internationally renowned Pilates certification program located in Boulder, Colorado. She has over 4,000 hours of Pilates teacher training, and has been teaching the classical Pilates method for sixteen years. Debby is experienced in teaching all of mat and equipment classes. Her widespread teaching has given her the experience to teach all body types, from the beginner, intermediate, advanced, or injured bodies to the professional athlete. Debby is certified through the Pilates Method Alliance’s National Certification Examination and had achieved Gold Certified Teacher status. In addition, Debby earned a Bachelor of Arts degree in Business Management from Alverno College and worked in the health care industry for 25 years. Debby is a graduate of, and currently a certified teacher for, the Masters Program at The Pilates Center in Boulder, Colorado. In addition, she holds the status of a Licensed Teacher Trainer since 2008 for the Teacher Training Program at the Pilates Center. She currently administers the training program at only one of only a few studios in the world authorized to teach this high-level program. Since 2009, Debby has studied the Franklin Method under the direction of Eric Franklin and Morten Dithmer. She is a certified Level I and Level II Franklin Method Educator. In addition, she achieved the highest level of Franklin Method training as a certified Level III Franklin Method Educator and was part of the first Level III graduating class in the United States in September, 2011. She is also a Licensed Franklin Method Faculty and a Sourcepoint Therapy® Practitioner. Debby studied classical ballet for 20 years under the tutelages of William Reilly and Debbie Berry. In addition to practicing Pilates, she enjoys running, swimming, and biking. 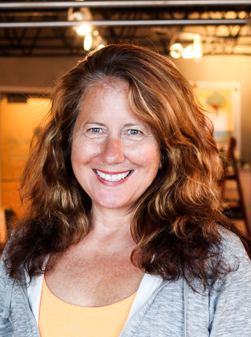 Debby is currently the owner, and Educational Director of Park View Pilates, LLC.